We offer a variety of services for our customers, especially those being vital for a continous operation under the new EASA regulations. We provide a complete set of documentation and help you through the approval process. 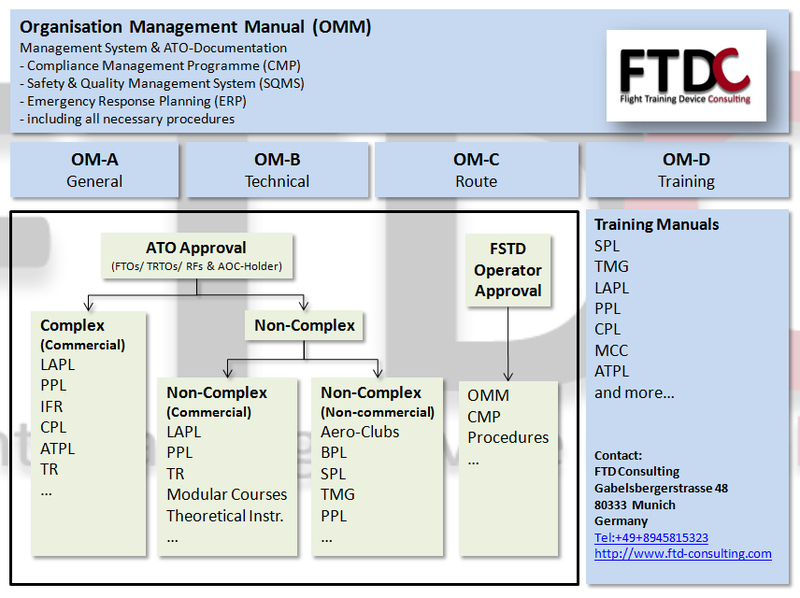 Benefit from a complete set of documentation compiled from different authority requirements and expertise derived from ATO management and aviation training.